The Amica BK296.3FA Integrated Fridge Freezer is frost-free so you won't have to spend time manually defrosting it, as cold air circulation inside is kept constant to prevent ice from forming to avoid the time-consuming chore. Store more thanks to adjustable shelves and a folding bottle rack that can store up to five large bottles. The rack can be folded away when you don't need it, leaving more space for large foodstuffs. Fruit and vegetable drawers keep food fresher for longer and allow you to store your food neatly. 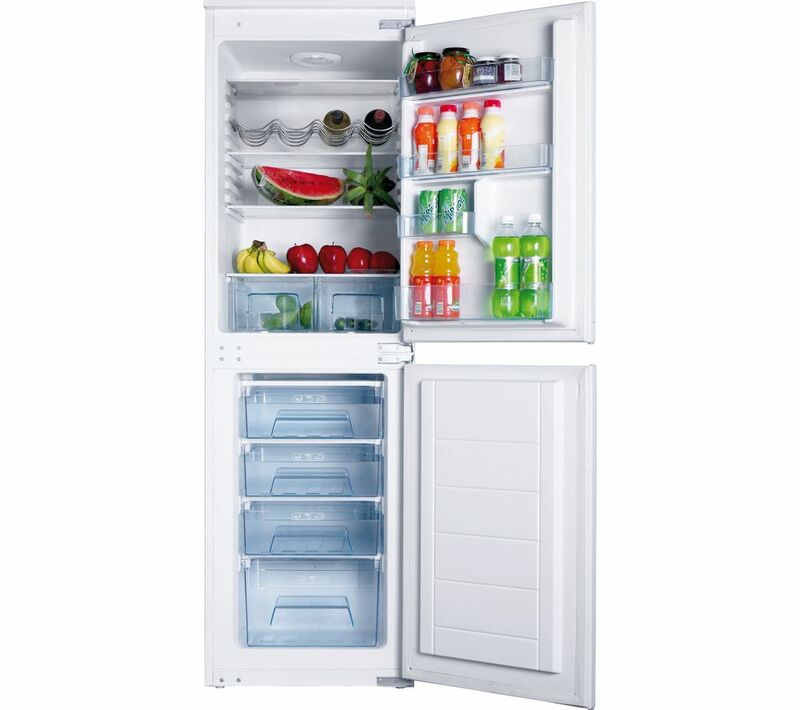 The antibacterial wall lining in the fridge helps to protect your food, keeping it fresh and tasty. With an A+ energy rating, this fridge freezer uses less energy than lower rated appliances to help you save more money on your energy bills. The product is quiet with good capacity . Don't like the half shelf at all, rearranging shelves because of this is practically impossible. Top door shelf could be deeper.